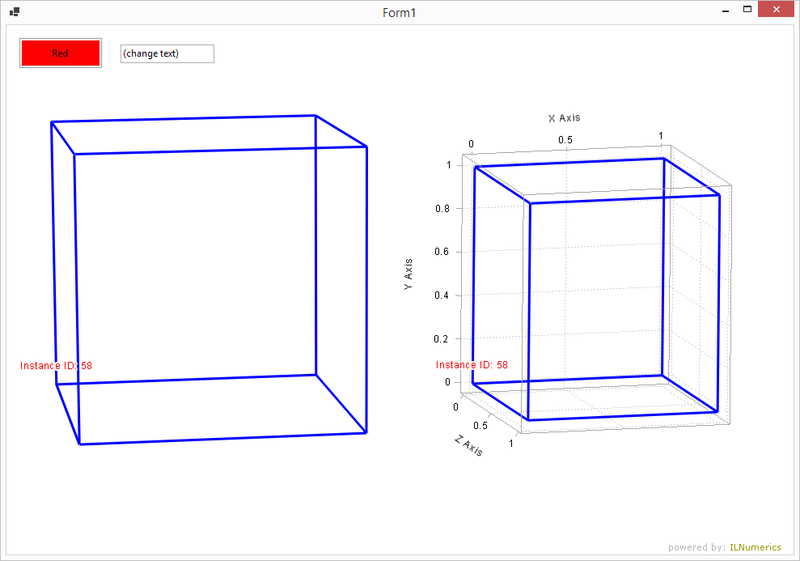 This example implements a 'cube' class which can be used just like other scene graph objects in ILNumerics Visualization Engine. The examples uses the same instance of the 'cube' class two times in the scene: inside a plot cube and inside a second camera object. Both instances are individually configurable but still use the same buffers. The example shows how both occurances are created, individually addressed and configured in the scene. Custom scene graph objects end up in synchronized copies used for rendering, hence can implement their own interactive behavior. In addition to that, the class implemented here allows to get reused within a scene for several times. In order to do so, it implements all methods required for Copy() operations.